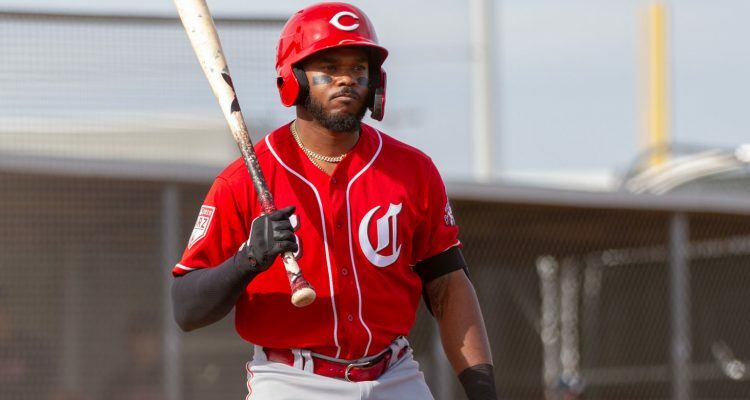 The Cincinnati Reds have announced that outfielder Phillip Ervin will be promoted this weekend on Saturday and Sunday for their series in Monterrey, Mexico against the St. Louis Cardinals. Rosters are being expanded for the series. It’s also noted by the Cincinnati Enquirer’s Bobby Nightengale that the team has to use that spot for a position player, not a pitcher. Phillip Ervin had a strong spring for the Cincinnati Reds. And he had a good season in 2018 while splitting his time between Triple-A Louisville and the Major Leagues with the Reds. But with the team deciding to go with a larger bullpen, he was a casualty to the numbers game. 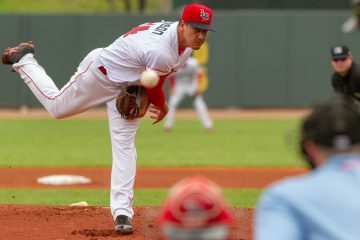 In 2019 he’s played in seven games with the Louisville Bats down in Triple-A. And on the surface, he’s out to a slow start at the plate. He’s hitting /.148. And he’s also slugging .148. His on-base percentage is .281. That’s good for an OPS of just .429. But he’s walked more times than he’s struck out and his BABIP is all of .174. Small sample size alert – this doesn’t mean much. He’s played for a week. Read next to nothing into the stats. With an outfield that already includes Scott Schebler, Matt Kemp, Yasiel Puig, and Jesse Winker, if Phillip Ervin gets into games this weekend expect it to be as a pinch hitter or a pinch runner. In both of those scenarios he can be beneficial. He’s a good base runner who may be the fastest player on the team. At the plate he’s got some pop in his bat. And he also brings a solid approach to the dish with him. 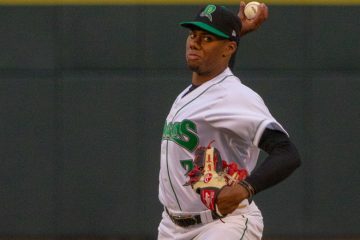 Can Phillip Ervin make the Reds roster? If the Cards are going to throw a lefty during the two game series, i’d like to see Ervin get a start in CF. Give the former 1st rd pick a chance! Nope the Cards are starting Wainwright and Mikolas both righty’s. O’Grady is not on the 40 player roster. If we were in a position to reward a hot start, that guy would be VanMeter. 4 HR in the first 7 games and a 1.481 OPS. VanMeter is still only 24 years old, had a .773 OPS in AAA last year at 23, and can play a passable 3B, 2B, and 1B. Could probably handle corner OF too if needed. 2 HR game for O-Grady Baby lol. He did whiff twice but take the 2 bombs . Hope makes it to bigs , he only grew up 20 mins away from me. Rooting hardest for him to make it. 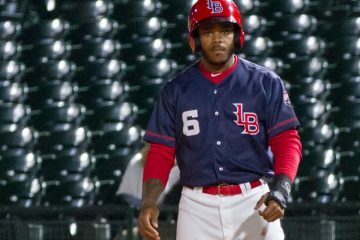 While Ervin is with the Reds, does someone else replace him on the Louisville roster? Not a chance. Have you seen that Orioles roster? Plenty of teams would take a flier on a guy making league minimum with a career OPS of .777 who can fake it in Center. When wood is ready to return who gets sent down? Mahle currently has second best ERA while Desclafani is struggling. Not really worth thinking about this until Wood is ready, but Desclafani is actually sporting a K/9 or 12.5. The walks need to come down a bit, but I wouldn’t really say he has been struggling. I’d still swap Mahle out if Wood we’re ready at this moment, but maybe it’s a different story in a month. I don’t trust his elbow. He is ‘twerking’ his delivery imo to try and keep discomfort down, which hurt his control. The 2nd start is it was very noticeable. He is one I doubt lasts long. We need to bring Miley.Cyrus on board to make sure Reds pitchers know how to twerk properly!! !